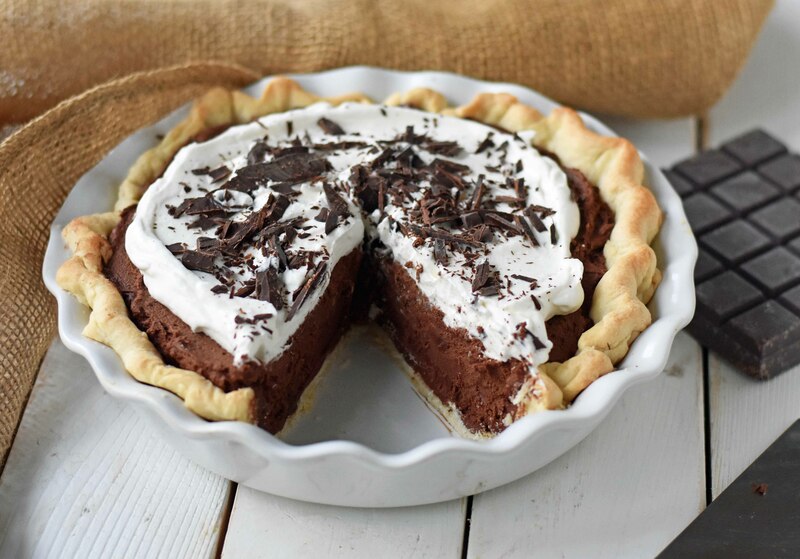 Chocolate Cream Pie made with decadent semi-sweet chocolate custard and topped with homemade whipped cream and shaved chocolate. It’s PIE WEEK on Modern Honey! I have been on the quest to discover the ultimate Chocolate Cream Pie. 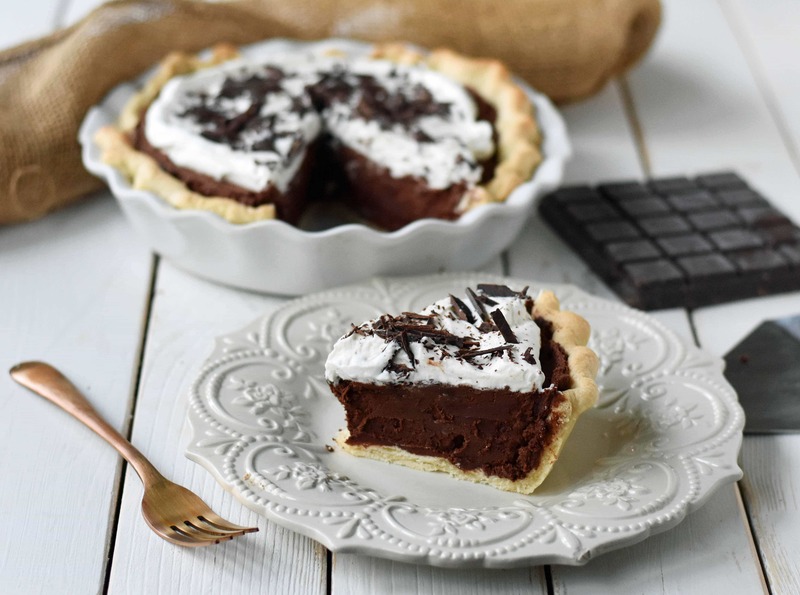 This French Silk Chocolate Pie is made from scratch using the highest-quality ingredients. 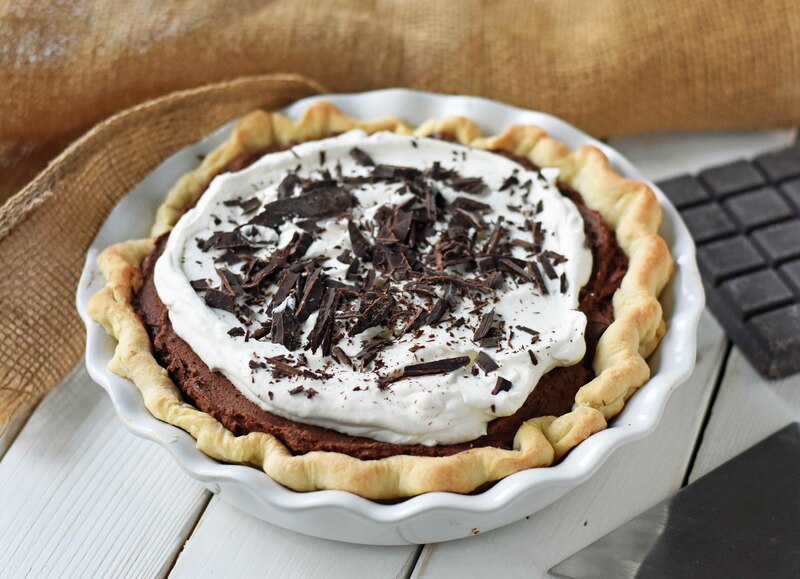 The pie starts off with a handcrafted chocolate custard made with semi-sweet chocolate, heavy cream, whole milk, egg yolks, cornstarch to thicken, and a touch of butter. The custard is thick enough to hold up yet the texture is creamy, silky, and smooth. To make a perfect chocolate pie has taken some trial and error. I have made my fair share of chocolate pies in the process! I heard about a rich chocolate pie recipe made with a hefty dose of butter, chocolate, and cream and couldn’t wait to try it. It was definitely rich and the chocolate flavor was on the point but it had too much butter which created a chalky texture when chilled. So, I kept persevering on and discovered that a homemade chocolate custard was the answer. 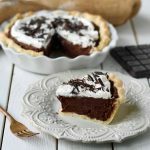 I am sharing all of the tips and tricks below as to how to make the perfect homemade chocolate pie. This pie is worth every single calorie! It starts with using high-quality chocolate. I reach for Guittard, Ghirardelli, Trader Joe’s, or Callebaut. You can use semi-sweet or dark chocolate or if you like a sweeter chocolate, use milk chocolate. Chocolate custard is made with sugar, egg yolks, heavy cream, milk, chocolate, cocoa, cornstarch, and a touch of butter to make it silky smooth. Use a whisk to stir custard while it cooks and thickens. Let the cornstarch do its job. Let it chill. The chocolate custard needs time to set-up and solidify. Cover tightly with plastic wrap or foil and place in refrigerator for at least 4 hours or overnight. 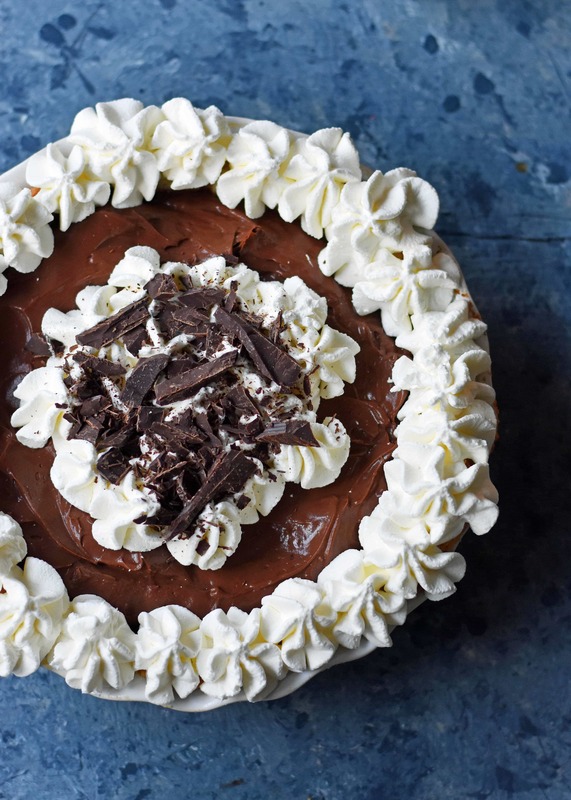 Place the chilled chocolate custard into baked pie shell when ready to serve. This allows the pie crust to remain flaky on the bottom. Cover with homemade whipped cream just before serving. Sprinkle with shaved chocolate (I use Trader Joe’s Pound Plus Bar). Make pie crust and pre-bake according to directions here -- All-Butter Pie Crust Recipe. Let cool. 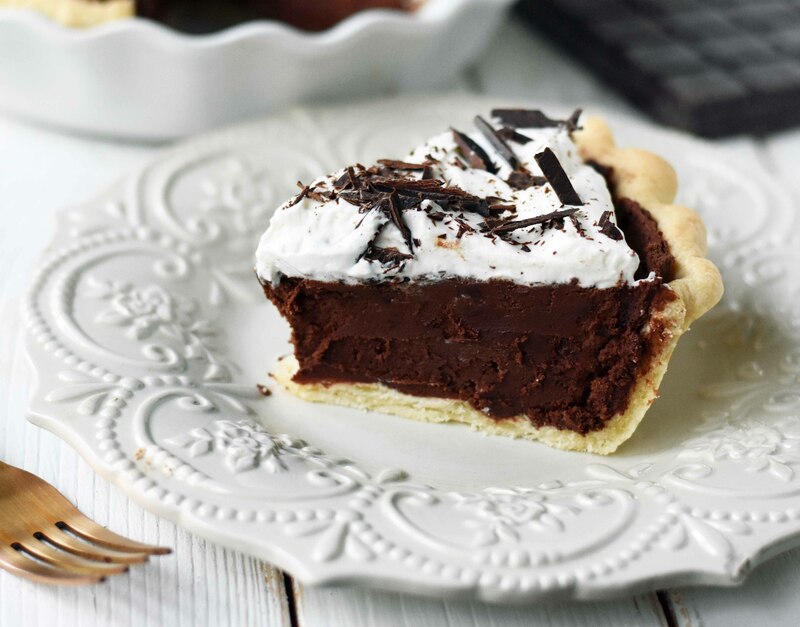 Once cooled and chocolate custard has completely chilled and set-up, spread chocolate filling into pie crust. Happy Baking, my friends! Find all of Modern Honey’s Thankgiving recipes on www.modernhoney.com/thanksgiving. For the custard, do you use salted or unsalted butter? This pie was a huge hit for my husband’s coworkers for christmas! I made one for our personal Christmas dinner and it was amazing. Thank you for your recipes. This is the 4th recipe I’ve done of yours and they all have been amazing. I am confused about measuring 1 1/2 cups chocolate. It seems like that could vary significantly based on how coarse/fine it is chopped. Could you be more specific or indicate the amount in ounces? The pie looks amazing. Can’t wait to try it! Thank you! Hi Dana! I agree with you. I use my scale for so much of my baking but most bakers in American rely on cups so I usually just list the cup measurement. It is more precise with grams so I will most likely go back and start adding that to my recipes as well. I will work on getting back to you today with the precise measurements. Thanks! Modern honey, would meringue work on this pie! I wonder if baking the meringue would interfere with chocolate firming up. Please respond. Perfect! I have several requests for French Silk Pie for Thanksgiving. 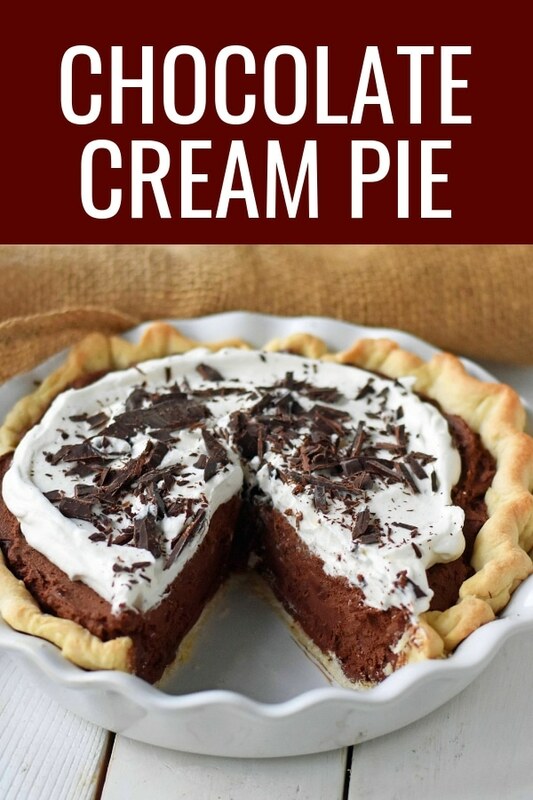 Your recipe looks like it should be perfect even though it is called chocolate cream pie. Am I correct? Hi Dana! It is very similar but this one has a little less butter and more chocolate. It is similar to a chocolate mousse pie. The chocolate in ounces is 9 ounces. I hope that helps! Also, thank you for trying my pumpkin bread. I really appreciate the support! Happy Thanksgiving to you! 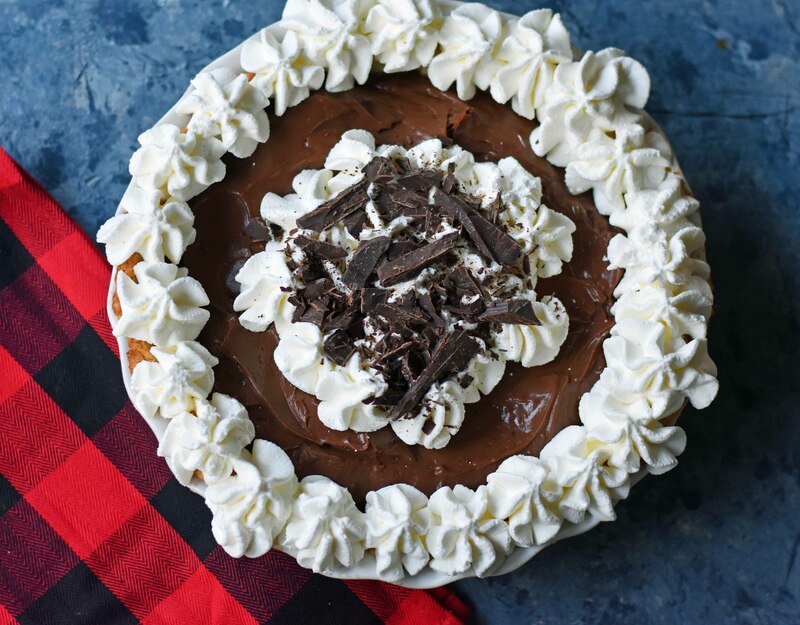 I would like to try making this pie but I’m wondering if I can use the chocolate in chip form rather than squares to save time on the chopping? I just found THE perfect chocolate cream pie ever. I’ve tried a few recipes and they were always soupy but this held up as a true chocolate pudding cream pie. I wanted a milder milk chocolate taste so I used Guittard mik chocolate chips along with sweetened cocoa powder. Therefore I reduced the sugar from 3/4c to 1/2c. This is delicious and finally I have the best chocolate pie recipe! I have tried this twice and did everything as the instructions are written but for some reason mine won’t set. I end up with something that has more of a liquid consistency. I can’t figure out what I’m doing wrong. I’m using Ghirardelli chocolate chips as the chocolate, could a cup and a half of those be too much?